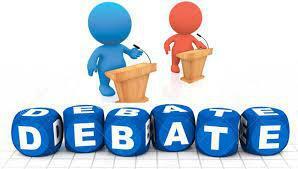 Several of our Y5 pupils were entered into a debating competition against local schools. They prepared a presentation and then debated against pupils from other schools in front of a judging panel. Well done to all those children involved - you represented our school beautifully and left us all very proud at how maturely you could articulate your thoughts and arguments.